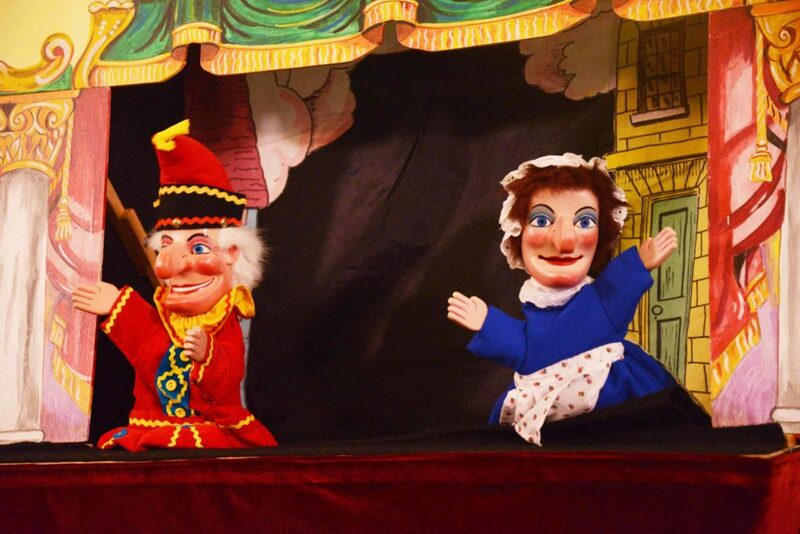 See Punch and Judy at the Garden Party! Have you ever seen a Punch & Judy show? We mean, a real Punch & Judy show? If you haven’t, now’s your chance. And if you’ve seen Professor Horn’s Punch & Judy Show at previous Garden Parties, you’ll know how riotously funny it is. (And how can you pass up a chance to see the show for free?) There are jokes for all ages, and all the slapstick you’d expect from the descendants of Commedia dell’arte. The Garden Party is on Saturday, May 4th, 2019, from 11:00 AM to 3:00 PM. Professor Horn is scheduled to present his show three times during the afternoon: at 11:30 AM, 12:30 PM, and 2:00 PM. The church is located at 11856 Mays Chapel Rd, Timonium, MD, and you can find more information on the Garden Party at gardenparty.ststeve.com. Professor Horn’s Punch & Judy Show. Photo credit: Stephen Winick, American Folklife Center, Library of Congress.